The Nordonia Handyman Service is here to help. Just hand us your “honey do” list to us! Not sure if you can handle that task, no job is too big or small. 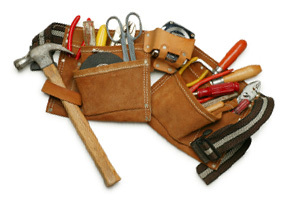 Every job is handled on time and skillfully by a professional handyman. We offer very reasonable prices. Once you have used our services you will understand just how easy we are to work with. We can even schedule regular visits to ensure quality home or office repairs or regular upkeep of your property. So.. when you need help with general carpentry, painting, siding repair, plumbing, electrical repair, landscaping or any other home tasks, you can trust the Nordonia Handyman Service. Call or e mail us today for a no hassle, low price on your home improvement needs. 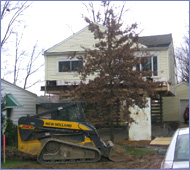 Our larges job thus far was a flooded home in Valley View that we where the General Contractor on. The home was raised 7 feet.